Greetings! Lush Event Productions is a boutique event planning company, specializing in exceeding a client's expectations. I am an independent event planner looking to grow in the Las Vegas market. I will help manage your entire event, from defining how you want your guests to feel, to the message you want to get across with your event. Successful events set the right expectations from the beginning and translate them into concrete results, thus assuring flawless execution. My goal is to service corporate, non-profit, social and wedding events in the Las Vegas Area. (Destination events available upon request.) Contact me today for a free consultation to discuss your next event. I offer competitive new business pricing options. For the wedding obsessed bride, who had her big day planned out on Pinterest before he even started saving for the ring. The day and its details have been selected and are ready for execution! While you worry about memorizing those vows, your perfectly planned wedding will be executed so seamlessly you'll think you'd done it yourself. We'll start meeting a month prior to discuss last minute details to ensure your big day goes off without a hitch. Services include: - Final planning meeting to obtain information about the wedding and determine how the couple would like the wedding to flow - Preparation of a rehearsal and a wedding day timeline - Vendor confirmation for the wedding day (4 weeks prior) - Rehearsal - Attendance and direction (coordinated with officiate) of the wedding rehearsal - Final collection of wedding items at rehearsal to be set-up on wedding day, such as candles, photographs, guest books, wedding favors, toasting glasses, serving sets, programs, seating cards, table numbers, etc. - Wedding Day (Up to 10 hours) Venue walk through to meet onsite partners, determine event day logistics. Event schedule management, including the wedding day timeline for the bride and groom, bridal party, and all event partners. Responsible for all vendor contact beginning four weeks prior to the event to confirm wedding day arrangements, and finalize the day of schedule. Ceremony rehearsal coordination and execution. Choreographing the processional and ceremony. Onsite contact for all vendors, liaison between the venue, bride & groom. Event set up and design, partnering with the your florist, rental company and event space to execute wedding decor. Will work to oversee tear down, and return of all items back to the appropriate vendors. Orchestrating the event so you can sit back, relax, and enjoy! - Providing a stress-free wedding day for the bride and groom! Every package can be tailored to meet specific needs. 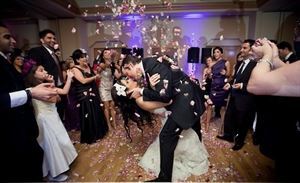 THE PARTIAL PLANNING WEDDING PACKAGE INCLUDES: - Initial consultation with the bride and groom - Unlimited phone and email availability - At least two wedding planning meetings between couple and wedding planner - A bride and groom timeline and checklist -Three Complimentary dance lessons with a professional dance instructor for “first dance” - One visit to site of both wedding ceremony and reception to go over set-up - Assistance with site design - List of preferred vendors as needed for the bride and groom to schedule appointments with - Caterer - Florist - Baker - Musicians/DJ - Rental Facilities - Photographer/Videographer - Transportation - Wedding Attire - Officiate - A two-hour wedding planning meeting one month before the wedding, which will include: - Wedding ceremony planning, processional, recessional, placement - Preparation of rehearsal and wedding day itinerary to be provided to client and vendors - Final walk-through with the bride and groom at selected sites - Collection and inventory of wedding items to be set-up on wedding day (candles, wedding favors, toasting glasses, serving sets, photographs, guest books, table numbers, programs, seating cards, etc.) ***This package also includes all items provided in the Month Of Wedding Planning Package. Every package can be individualized. All quotes vary dependent on individual client needs. For the bride with big dreams, but a hectic schedule, hundreds of bookmarked wedding blogs, but not a spare moment to pin away. We'll work from start to finish to design your & your groom's dream day, working together to make your vision a reality. Ready for our first meeting? I'll bring my crystal ball. Services include: - Initial consultation with the bride and groom - Unlimited phone and email availability - At least three wedding planning meetings between couple and wedding planner - Help preparing and understanding the wedding budget - Preparation of a wedding schedule/timeline and checklists - Assistance with site tours, selection and booking of wedding ceremony and reception venues - Assistance with site design (selecting a color scheme, theme and style of the wedding) - Assistance with selection of wedding attire and accessories, accompaniment to fittings if desired - Help with finding, negotiating, and booking suitable vendors. We will schedule appointments and accompany clients to up to two meetings per vendor category - Caterer - Florist - Baker - Musicians/DJ - Rental Facilities - Photographer/Videographer - Transportation - Wedding Attire - Coordination of vendors to ensure services/products for the wedding are provided in a timely manner -Three Complimentary dance lessons with a professional dance instructor for “first dance” -Complimentary Wedding Officiate (if needed) - Assistance with selection of wedding invitations, save-the-date cards, place cards, programs, RSVPs, etc. - Wedding ceremony planning - Final walk-through with client at selected sites in the month of the wedding - Final timelines prepared the month of the wedding - Final consultation with vendors the month of the wedding - Final meeting covering all details with the bride and groom (month of wedding and the week prior to the wedding). This two-hour planning meeting will include: - Ceremony planning, processional, recessional, placement - Preparation of rehearsal and wedding day itinerary as a timeline to be provided to client and vendors - Final walk-through with client at selected sites - Collection and inventory of wedding items to be set-up on wedding day (candles, wedding favors, toasting glasses, serving sets, photographs, guest books, table numbers, programs, seating cards, etc.)? All packages can be tailored to meet needs.